One reality in the fiscal debate changed on Monday. And one did not. Here’s the reality that changed: President Obama can no longer accuse House Republicans of failing to present a plan for reducing the deficit. On Monday afternoon, Speaker John Boehner did just that, in a letter to the president laying out the basic parameters of what his caucus would be willing to accept—pushing up the retirement age for Medicare, reducing the growth of Social Security benefits, and closing tax loopholes to raise a modest amount of revenue. Here’s the reality that didn’t change: Obama has insisted that any deal meet several conditions—among them, higher income tax rates on the wealthy, an end to the debt ceiling drama, and stimulus for the fragile recovery. Republicans have said no way. 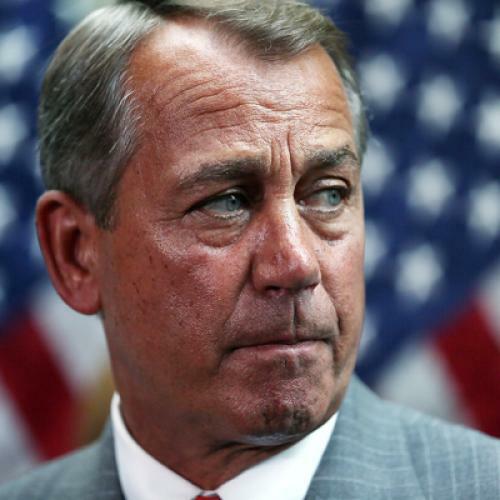 And with this proposal, Boehner and the Republicans are still saying … no way. The new proposal merely commits to paper a few ideas that Republicans have been floating for the last few weeks. It does so with the usual level of specificity—which is to say, very little specificity at all. It’s progress, of a sort. At least both sides in the negotiation now have official positions for which they can be held accountable. For example, the offer should make clear, once and for all, which party is eager to cut benefits for seniors. (Hint: It’s the party that just proposed to cut benefits for seniors.) But the actual positions of the two parties have not changed. And that means this offer remains far from anything Obama and the Democrats should even contemplate accepting—for the very simple reason that accepting it seems far worse than going over the “fiscal cliff” on January 1. Remember, January 1 is the date when all of the Bush tax cuts expire, thereby restoring rates to what they were during the Clinton era. It’s the date when a series of substantial spending cuts automatically start to take effect, taking a big bite out of domestic programs and a bigger bite out of defense spending. It's the date when a payroll tax holiday and extensions of unemployment insurance, designed to bolster growth and ease human misery while the economy remains weak, expire. The cumulative effect of these would be to reduce the deficit (yay!) but in a way that sucked a lot of money out of the economy (boo!). If it all comes to pass, the country could fall back into another recession. Exactly how quickly that would happen, nobody can say—in part because Obama could, via administrative actions like telling the Internal Revenue Service not to change withholding tables, delay the impact. The uncertainty and potential for economic hardship, particularly after the first few weeks, make it an unappealing option. But is it more unappealing than the alternative? Let's look at what Boehner is offering—and let's start with his proposal to raise the eligibility age for Medicare. He presumably has in mind a gradual increase in the age, from 65 to 67. The Congressional Budget Office concluded this option would reduce government spending by more than $100 billion over ten years. Boehner's proposal also calls for another $300 billion in cuts to so-called discretionary spending. (That's spending Congress must reauthorize from time to time.) The proposal doesn't specify which cuts, but they'd be above and beyond those automatic cuts, which will reduce discretionary spending to historic lows. Adding another $300 billion in cuts would likely "pose significant risks to investments in areas from education to scientific research to food safety to border security to children’s programs such as child care, [the Women, Infant, and Children food assistance program], and Head Start," according to a statement by Robert Greenstein, president of the Center on Budget and Policy Priorities. "In short, people with low incomes or serious disabilities, and elderly people of modest means, would face substantial cuts." But the problem with Boehner’s proposal goes beyond these specifics. Today the Republican Party stands behind two principles that threaten to undermine the nation’s long-term prosperity. One is their absolute, ironclad opposition to higher income taxes on the rich. Without the revenue from higher rates—eventually on the middle class as well as the rich, if I had my way—it’s not possible to stabilize the deficit, barring cuts to programs that would undermine future productivity and the financial security of even middle class Americans. The other threat to prosperity is the Republican willingness to use the debt ceiling as a tool for policy extortion. As long as that possibility exists, it will create regularly recurring crises like the one that happened in the summer of 2011. Breaking Republican positions on taxes for the wealthy and the debt ceiling, while making real progress towards reducing the deficit, might seem like seem like a lot to ask. But if January 1 comes and goes, one of them (real progress on the deficit) will happen, because the deficit will come way down; another (opposition on tax hikes for the rich) won’t matter, because taxes on the rich will go up anyway; and another (use of the debt ceiling) won’t matter for a long time because the sudden burst of deficit reduction will postpone, at least for a while, the moment when the government again hits the debt ceiling. And that's not to mention the possibility that Obama could dispense with the debt ceiling altogether, by availing himself of controversial options he wouldn't consider last time around. The risks of going over the fiscal cliff are real, which is why Obama and the Democrats should keep trying for a deal. And if Obama and Democrats are determined to extract concessions like extensions of unemployment insurance, as they should be, they're going to have to make some concessions of their own—particularly if Republicans opt for a "doomsday plan" and preemptively concede on tax cuts on middle incomes. But Obama and the Democrats can do better than what Boehner offered on Monday. A lot better. Update: I added a reference to the Center on Budget analysis.